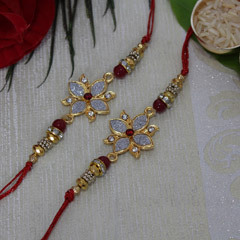 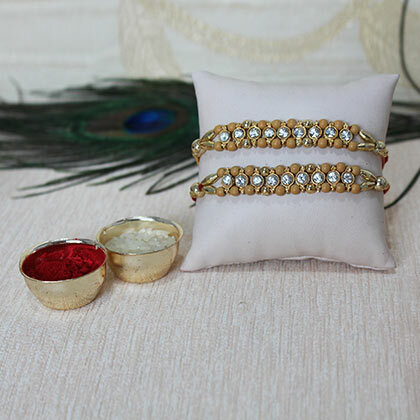 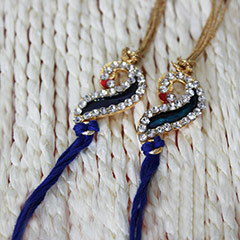 This beautiful set of two Rakhis that are perefctly beaded with stones and beads will for sure give a sober look to your brother''s wrist. 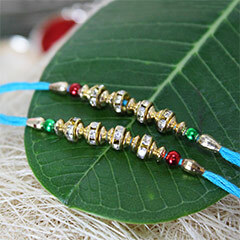 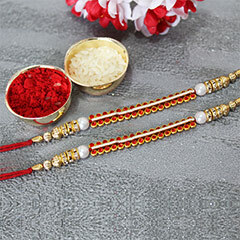 On this Raksha Bandhan 2017, greet your brothers with these stone studded beaded Designer Rakhis that are easily available right here at the website. 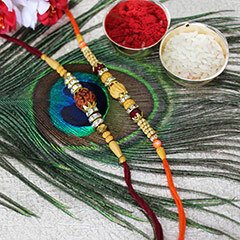 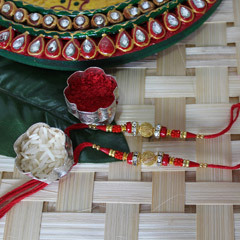 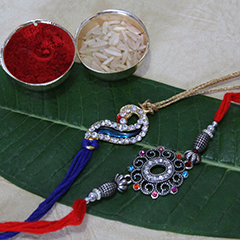 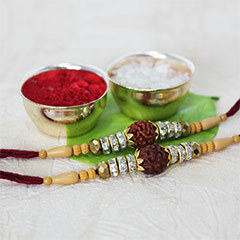 Chawal and roli with beautiful containers has also been included to add more charm to the tika ritual.